Anyone who deals with Virtual Reality professionally knows how many non-virtual, but very real, problems have to be dealt with. 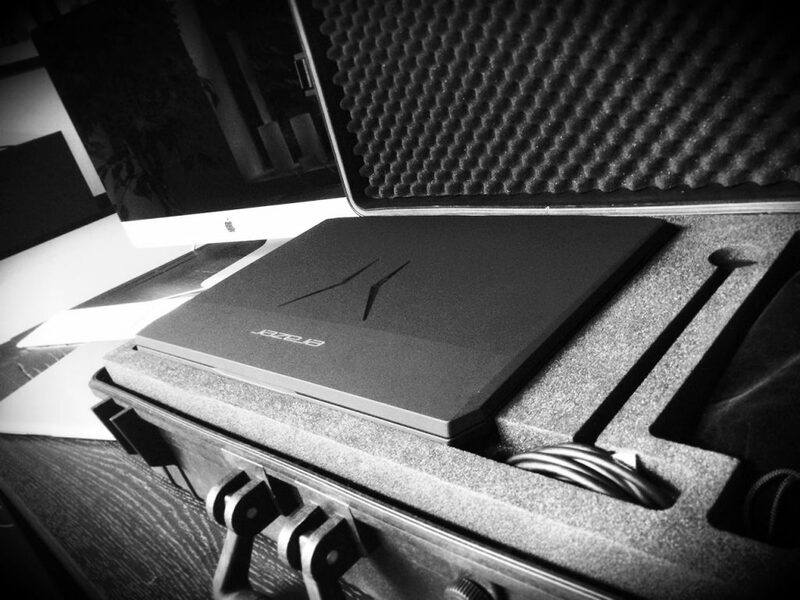 If you want to present your projects live at the customer and don’t miss the power of full-spec hardware, there’s a lot of equipment to transport. Fortunately, there are now mobile GPUs that are equal to their desktop brothers in every way, which is why powerful notebooks are a valid alternative to full-size PCs. 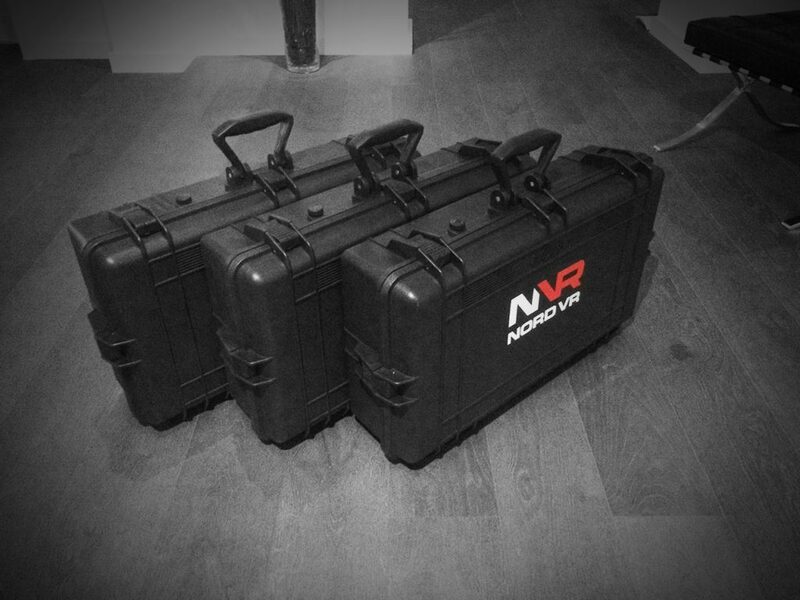 Nevertheless, it brings a VR base outfit up to almost 7 kg of bulky yet highly sensitive tech stuff. 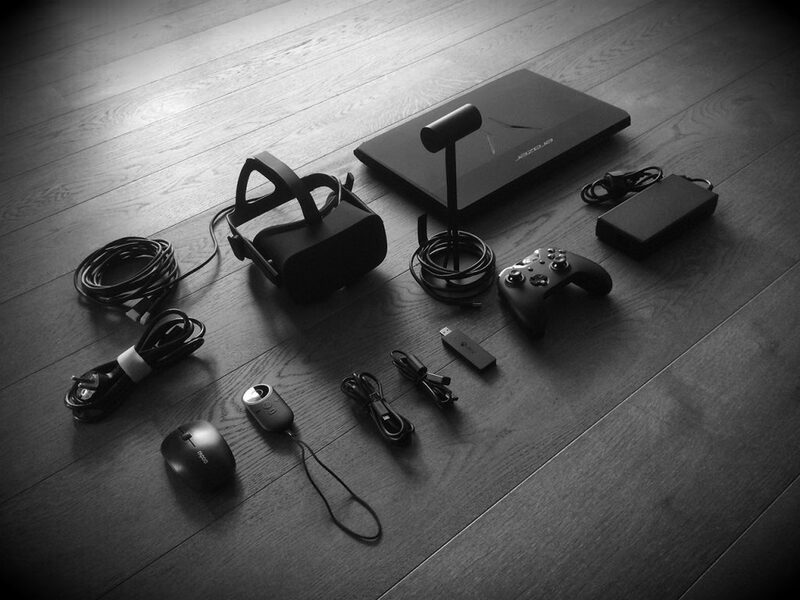 17-inch notebook including power adapter, cables and Bluetooth mouse, Oculus Rift headset (HMD), tracking sensor, controller, wireless controller adapter, remote control, more cables, possibly disk and promotional material. 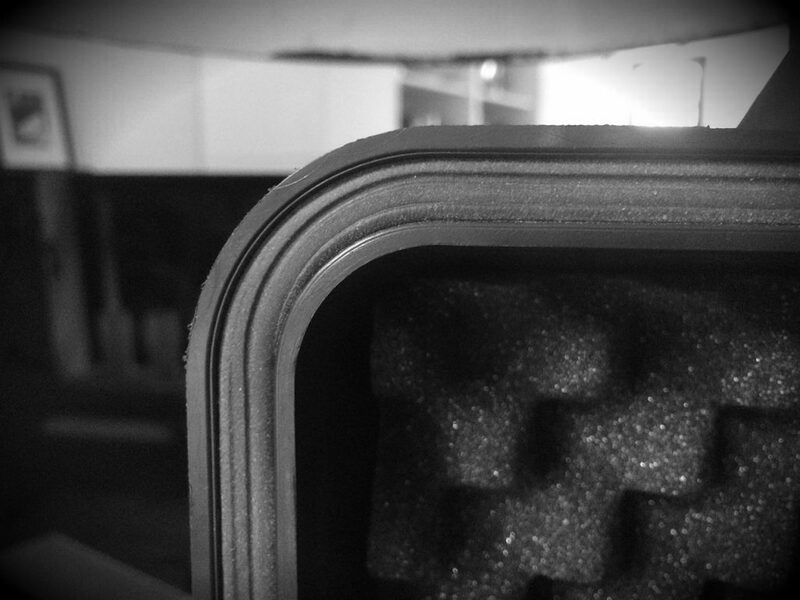 Besides their bulkiness, especially headset, tracking sensor and notebook are characterized by their vulnerability. Simply throwing everything into a backpack doesn’t work. And it gets really adventurous when you have to use VR equipment in difficult conditions (for example on construction sites or generally in outdoor environments). 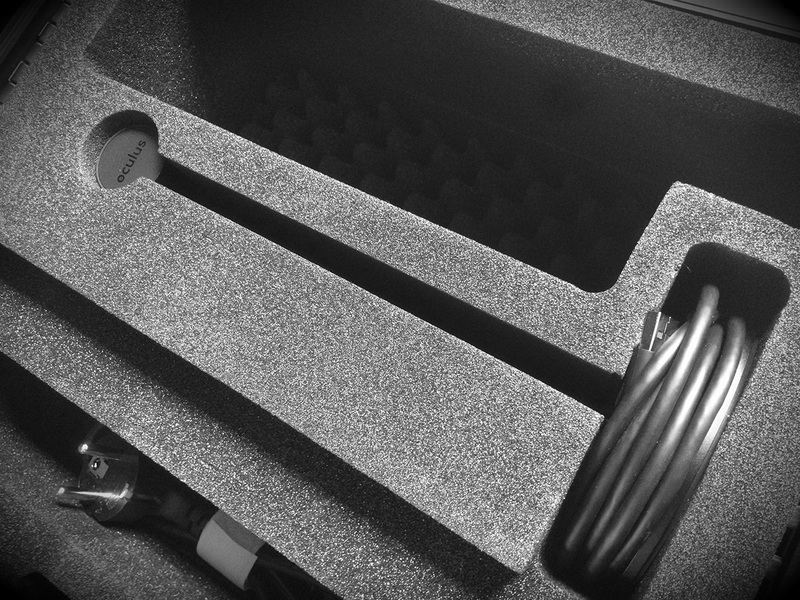 At the front of the VR Transport Case is a pressure equalization valve that allows the pressure state inside the suitcase to be selectively adjusted or isolated from the environment. Useful if ambient pressure values deviate heavily from the original pressure conditions. 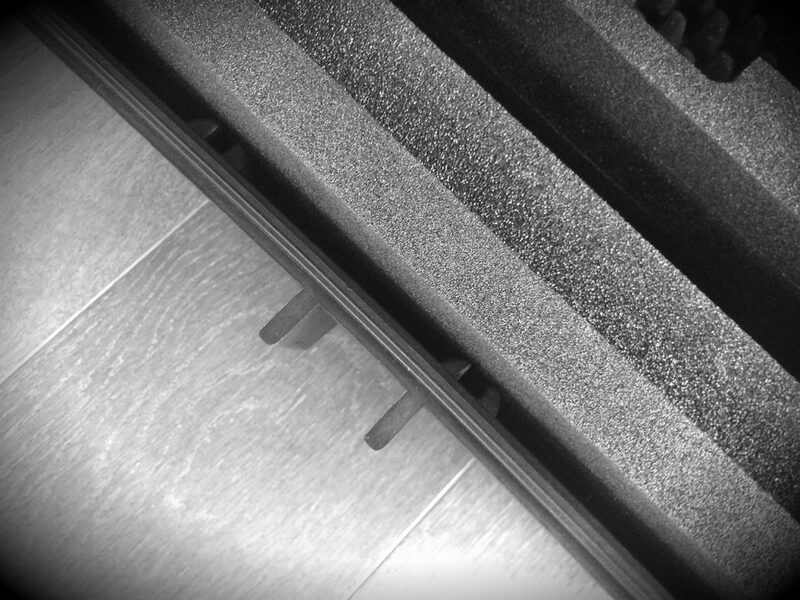 Inside, on the side walls and on the floor, there are rail mounts that allow either the case to be partitioned or used to secure the contents of the case sideways and from below by approximately one cm against impact or intrusion. 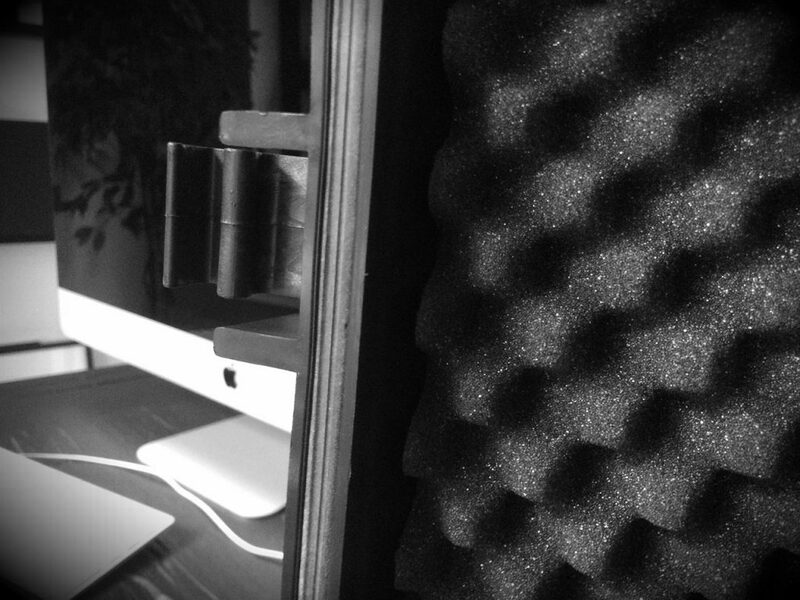 Since the foam is not flat against the outer walls, the hardware in the case is additionally shock-damped. 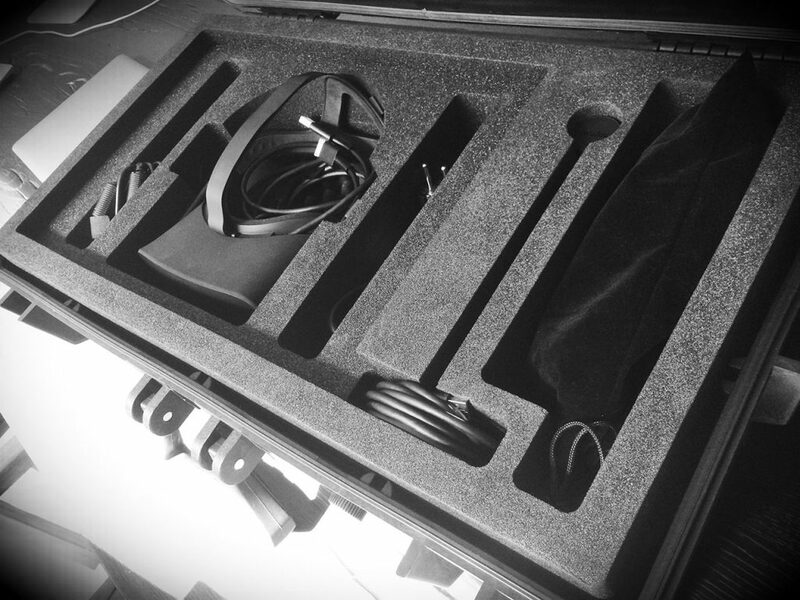 While the larger parts have an individually milled recess in the foam (in the photo, the layout for an Oculus Rift and accessories), smaller pieces go straight into a satined fabric bag, placed in the right side of the case. 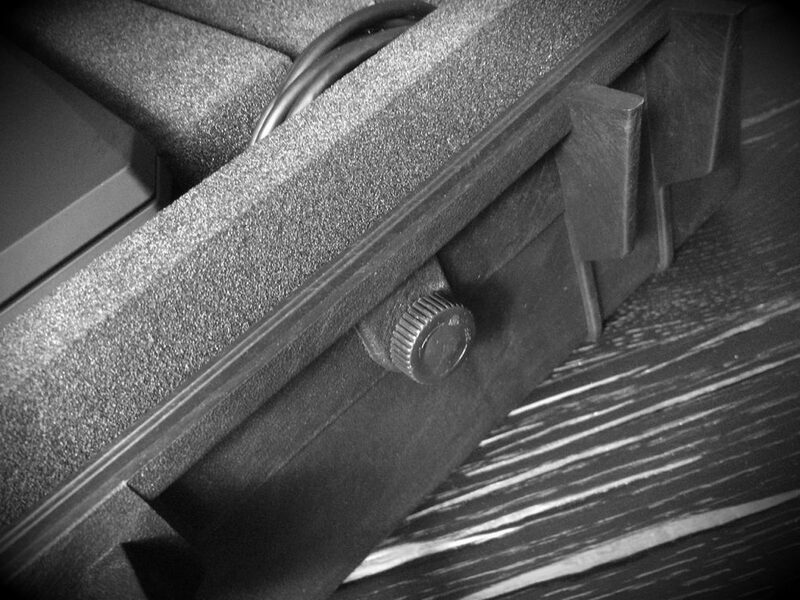 The notebook finds its place in the “upper deck” of the case. 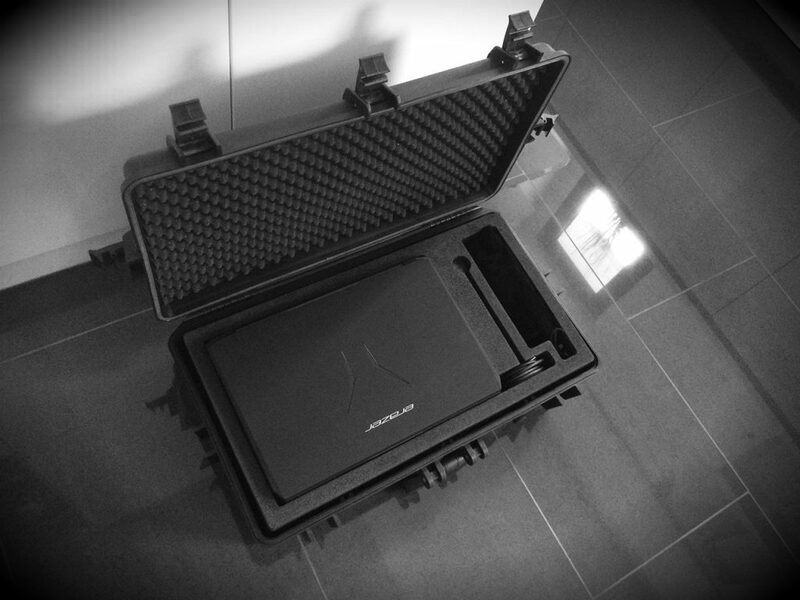 As part of the further development of the VR Transport Case and other variations (for example for Roomscale VR, HTC Vive etc. ), we are also considering the production of a small series. 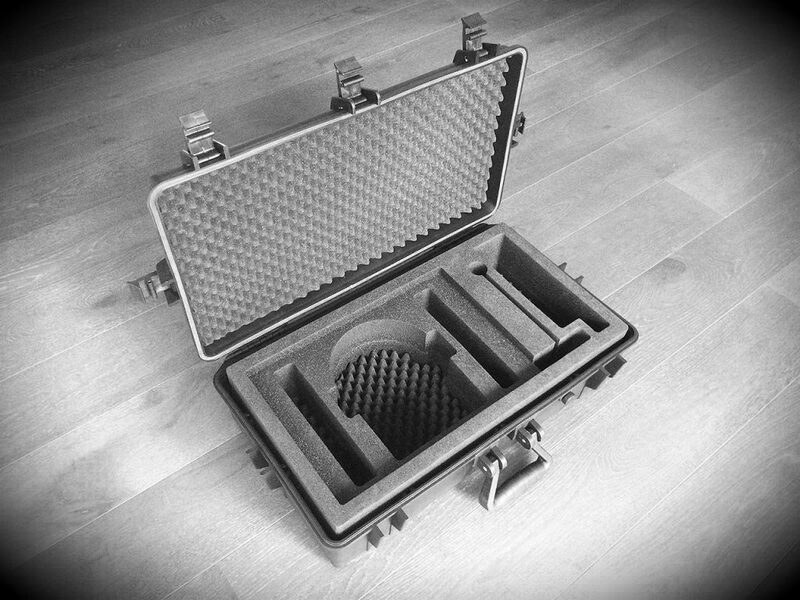 How do you like the case? Get IN TOUCH if you are interested in placing an order. We will inform you, if we put up a limited series of the case.